The new year started just a few weeks ago and usually I don’t have a new year’s resolution. By now, I usually give up on whatever my resolution was because I think it was too hard to keep or I wasn’t motivated enough in the first place. This year I did decide to make one and do my best to stick with it. It’s not to get down to a certain weight or dress size. I want to work on being healthy overall. That means eating right, exercising, keeping stress to a minimum, and enjoying more of what’s around me. I’ve been doing pretty well, so far and haven’t fell off the wagon yet. 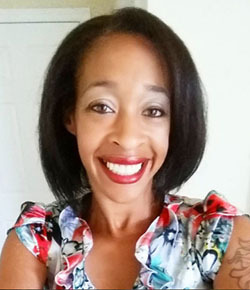 My eating has been consistent and luckily, I live in Florida where there is fresh tasting produce year round at my local supermarkets and farmers markets. With my new found healthy lifestyle I’ve been making some of the best recipes. In this latest one I included Fresh from Florida bell peppers. I’ve loved bell peppers since I was a kid. Of course I ate them cooked, but I would also slice up a juicy red bell pepper and eat it if I needed something quick and crunchy. Bell peppers are available in Florida restaurants, as well and are in season from January through May. It doesn’t hurt that they’re packed with vitamin C and are low in calories. 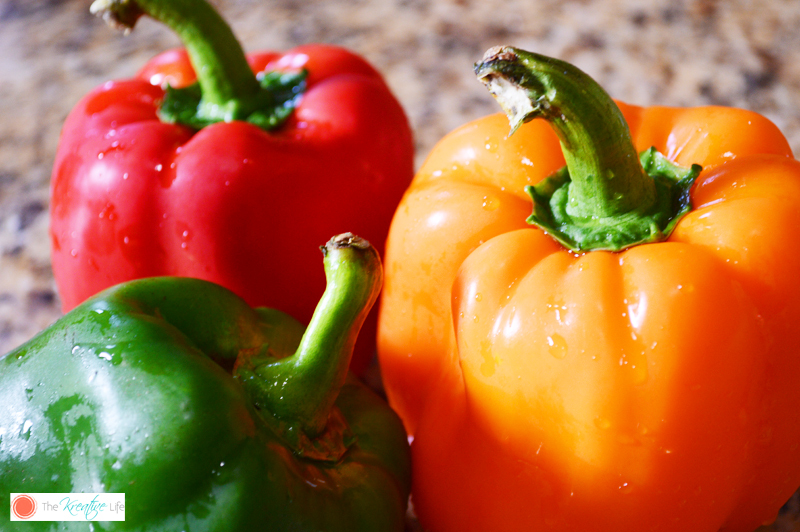 Even my kids love helping me pick out the green, red, or orange peppers to include in our meals. 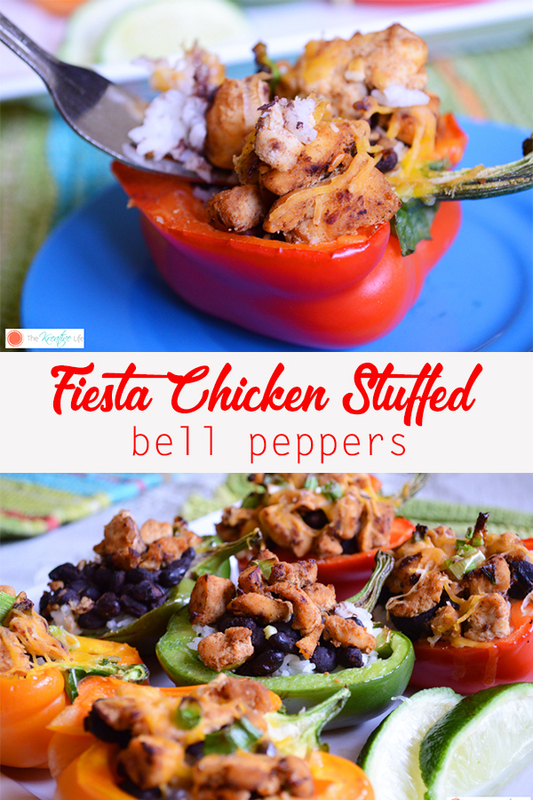 My Fresh from Florida Fiesta Chicken Stuffed Bell Peppers were a huge hit with them, too. Enjoy! Preheat oven to 400°. In a large skillet over medium heat, cook chicken, onions, garlic, seasoning, and lime juice until meat is slightly browned. Rub olive oil on the outside of the bell peppers. 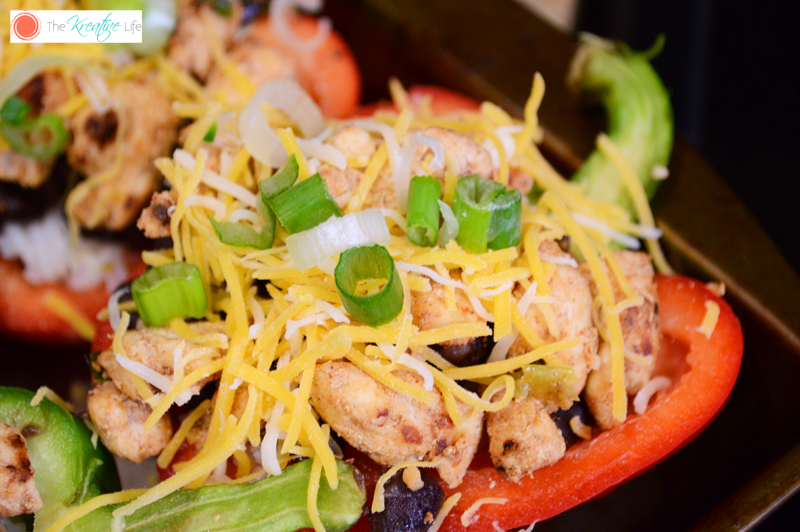 Place the bell peppers in a baking dish. Scoop ½ cup rice into each pepper slice. Add ¼ cup black beans to each pepper slice. Add ½ cup chicken to each slice. Top with cheese. Bake for 15 minutes. Allow to cool before serving. If you like to add a little zest to your food, try this zesty oven-roasted corn on the cob. If you want to use Fresh From Florida produce in your recipes, make sure you look for the Fresh From Florida logo. You can visit the Fresh from Florida website for tasty recipes or even follow Fresh from Florida on Facebook and Fresh from Florida on Twitter to receive weekly recipes that include Florida produce. 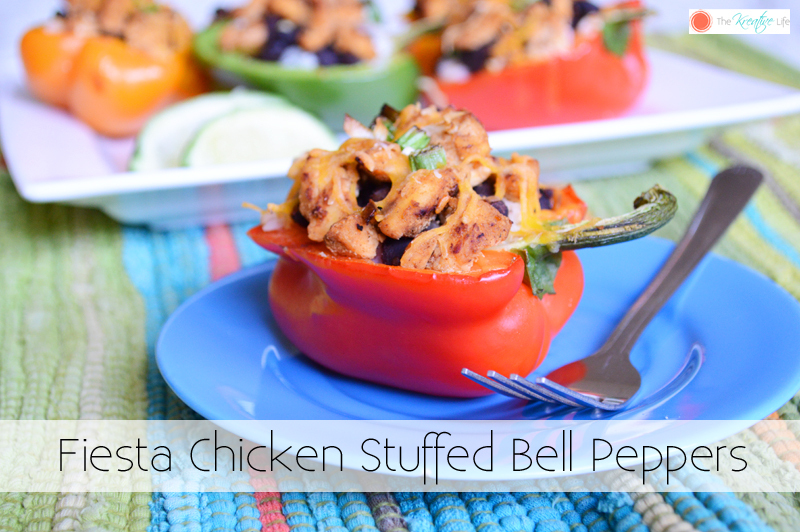 These stuffed bell peppers look absolutely delightful and they’re so festive as well. I would love to make these especially when I’m hosting a party at home. Yum! I love to find quick and convenient meals like this for dinner. My sister shares a recipe to me similar to this one. It’s just ground beef on bell pepper topped with cheese. Wow, I will add this on my menu for the weekends. My children are coming home so I need to cook something special. I have a family full of bell pepper lovers. These sound great!